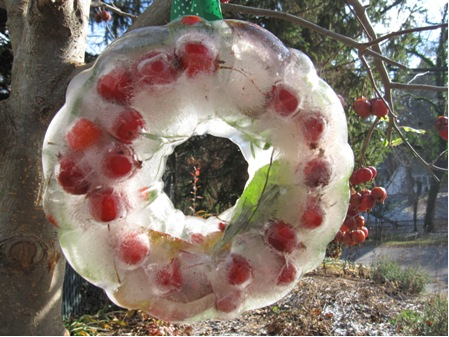 Home » Category archives "Quirky Stuff"
I first saw instructions for this project on The Artful Parent blog and thought it was incredibly clever — and I can’t believe that I never saw a similar ice wreath during all the frigid winters I spent on the Great Lakes. 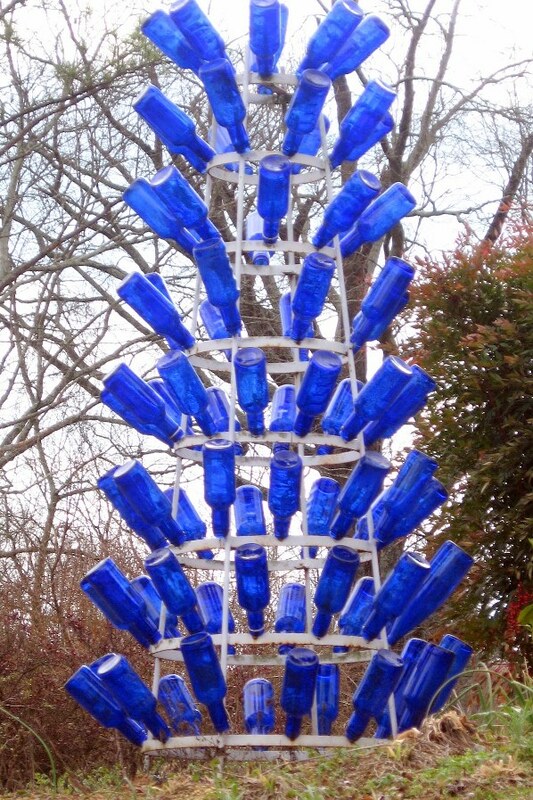 If I lived in a cold climate at the moment, I’d be gathering together all the materials I needed to make my own ice wreath, and figuring out where to hang it. If you’ve ever doubted that gardeners are the most innovative people under the sun, just look at the photos below. I shot these on a summer garden tour for inspiration. I took this shot at the home of Atlanta landscape designer Paula Refi — that’s the side of her garage you’re looking at! 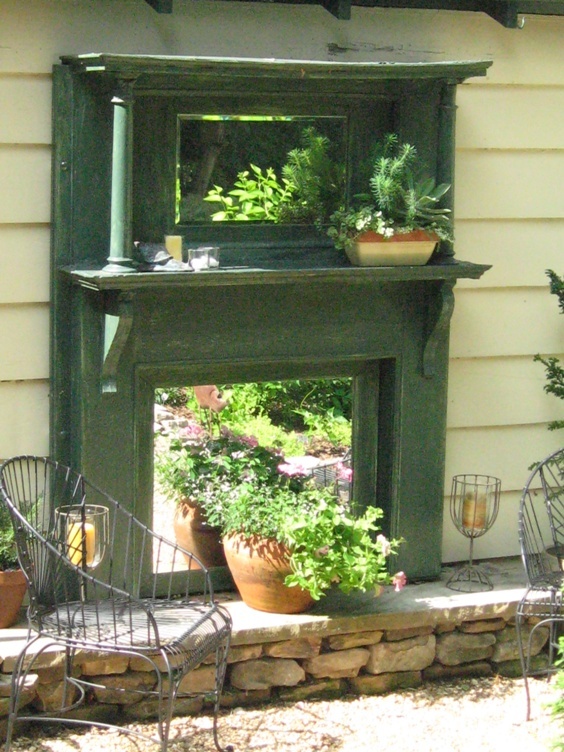 A salvaged mantel piece was painted, outfitted with mirrors, and bolted to the outside wall. A stone “hearth” completes the illusion. Is this ghost orchid creepy? Can plants be creepy? Okay, there’s the horror film version of giant, man-eating flowers, like in Little Shop of Horrors. But what about in real life? I got a newsletter from Garden Design magazine the other day, inviting me to view a slideshow of “creepy, Halloween-ready plants” on their website, so of course I had to click through and see what was there.